Metallic drum/barrel is a kind of packaging container which is made of thin steel sheet. 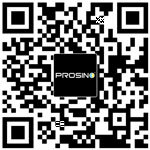 Due to its stable mechanical characteristics, easiness in handling and high strength to bear impact, vibration and stack, it plays an very important role in packaging industry. Metallic drums can also obstruct air and light specially UV, thus can well protect the stored material especially food material from getting bad quickly. Because of these advantages, metallic drum has gained great popularity as a packing method especially for liquid and powder-like products. We can see various types of metallic containers everywhere in our daily life, such as oil drums, paint buckets, milk powder cans, etc. After products are used out, these empty metallic drums become inconvenient to dispose as its large volume takes up a lot of space and thus will generate high transportation & storage cost. Finding a right size reduction solution for these waste metal drums becomes an urgent matter. Using a metallic drum shredder machine to turn the metallic drums into small scraps is one of the most efficient and cost-effective way to reduce the size. 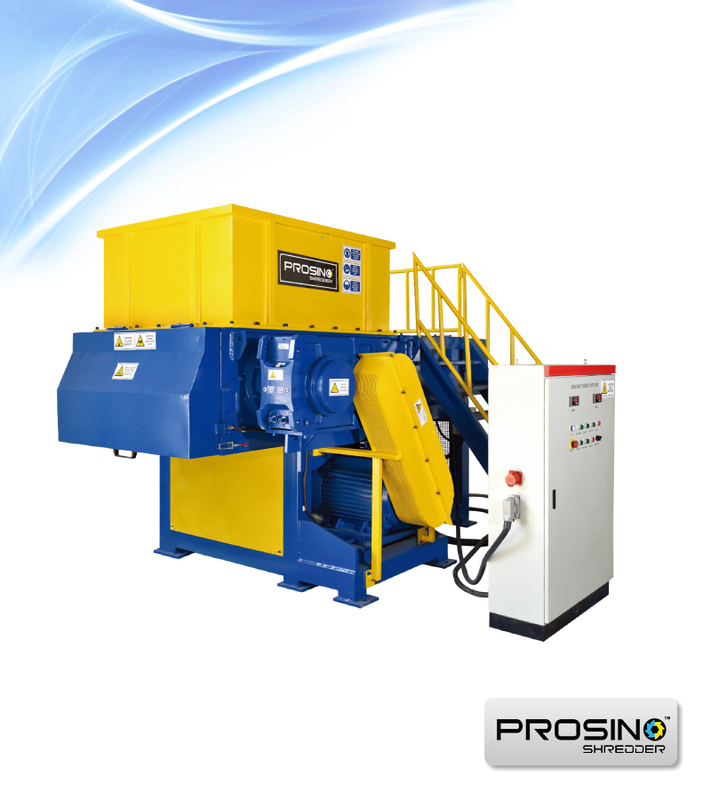 Double shaft shredder is most widely adopted for shredding hollow products like metal drums, as the two cutting rotors firmly “bite” the drums from bouncing or rolling inside the shredding chamber, which makes the shredding job done in an efficient way. 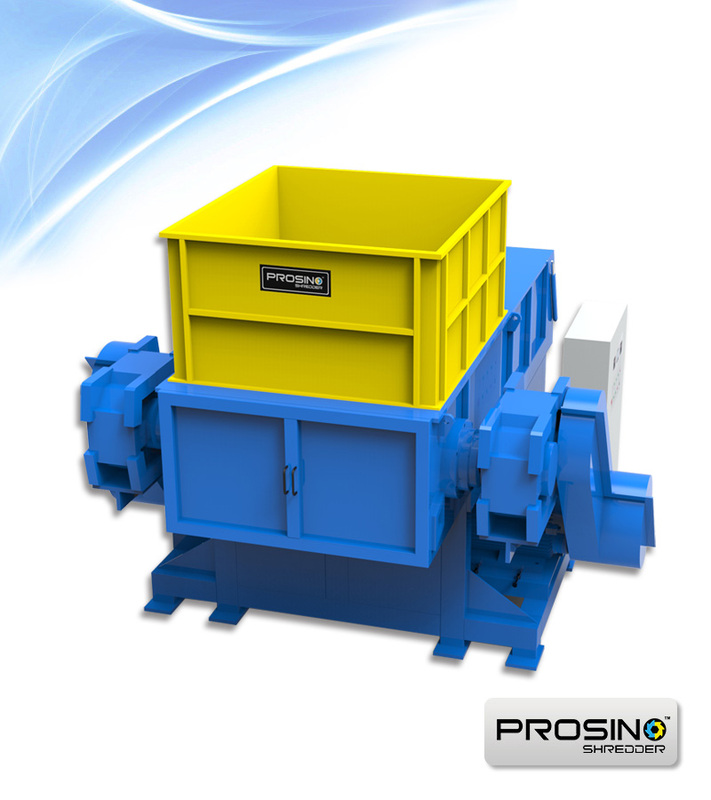 For some huge-volume drums which are too big for double shaft shredder to shred, four-shaft shredder is a better option. 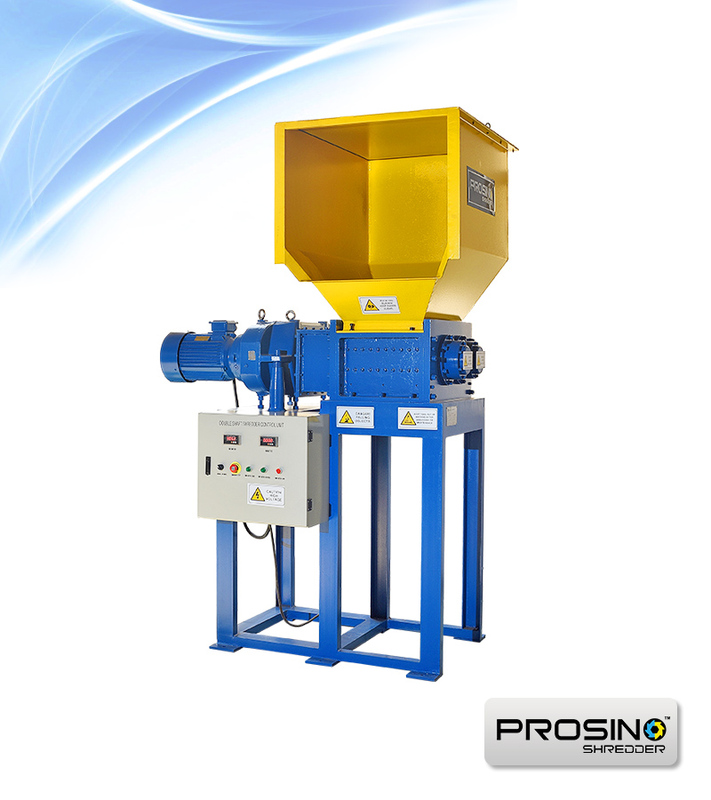 PROSINO product range offers all types of shredders and granulators to meet your specific shredding demand. 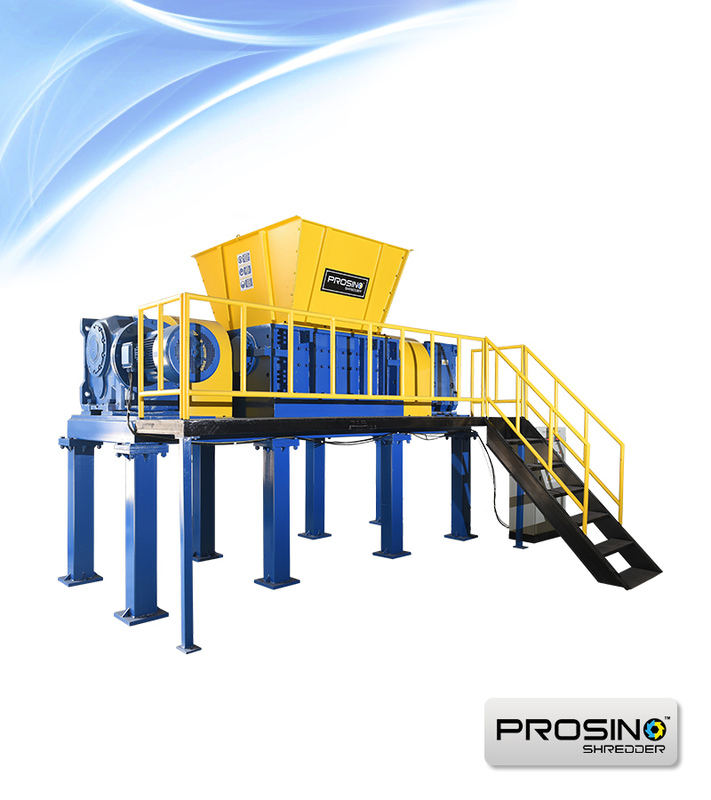 Contact us to get an optimal solution for your shredding project. Drum Shredder? Drum Granulator? Barrel Crusher? You decide! 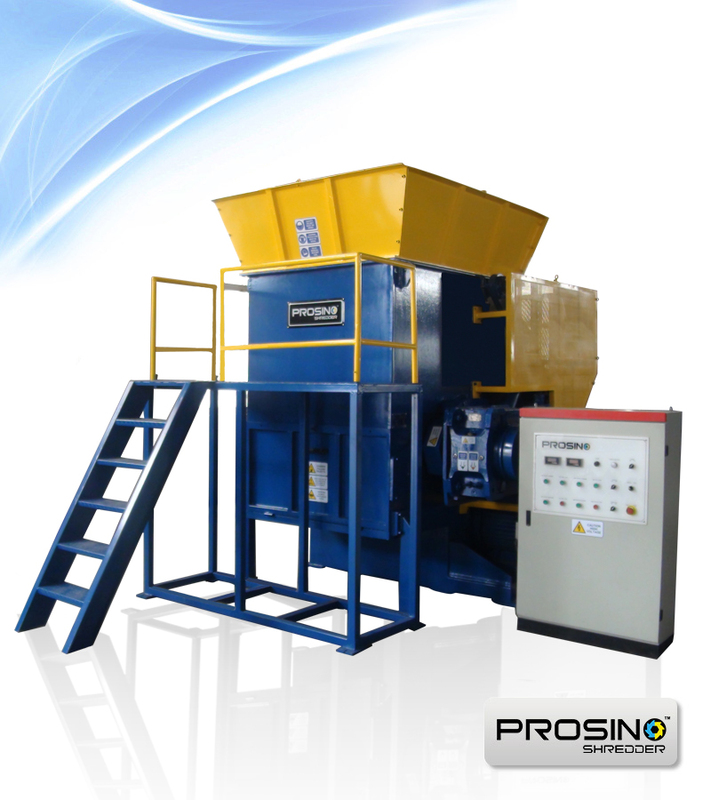 View SINOBALER drum baler or oil barrel flattener for baling purpose.